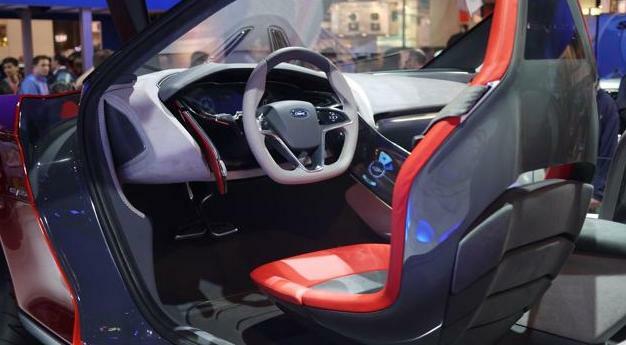 With the Evos Concept, Ford has taken a new design leap into the next generation. The dramatic lines of the concept car are bright indication of a substantial transformation of the brand Ford. Exterior: Translating 'fastback' bodystyle into a new design DNA, Ford is creating a common framework to create 'next-generation' cars. 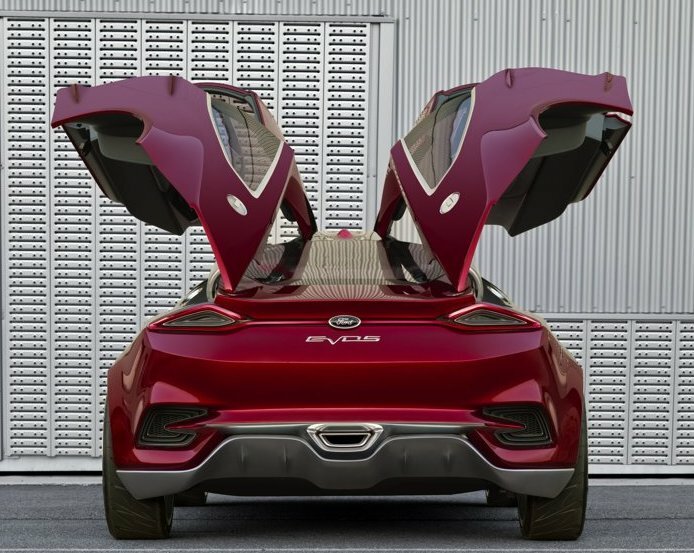 The Ford Evos Concept is a combination of a sensational profile and smart proportions. 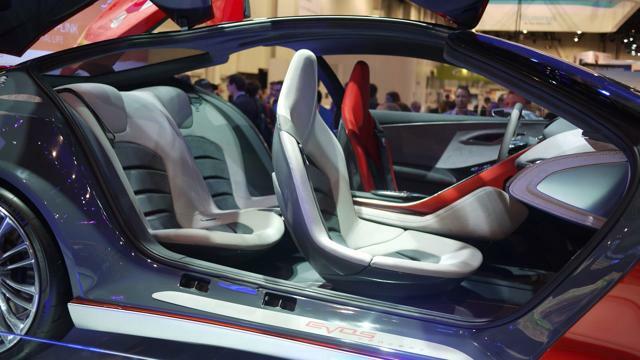 An amalgamation of Ford's C, CD, and GT cars, the Evos Concept has a very contemporary feel. 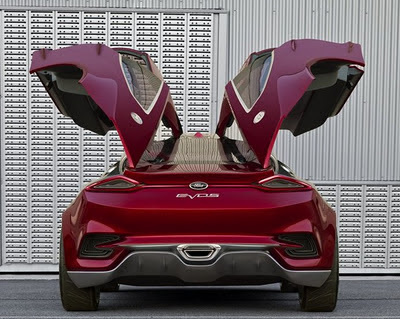 One of the most striking features of this car is the awesome hinged 'gull-wing' doors that open to unfold the singular 4-door, 4-seat layout inside. Interior: The fun-to-drive spirit of the car's exterior is seamlessly translated into its interior. The ubercool cockpit design is sure to enhance driving pleasure and driver's interaction with the machine and the surroundings. Technology: This baby is hi-tech! It’s green! And it’s smart! The top-in-the-class lithium-ion plug-in hybrid powertrain ensures spectacular performance and fuel economy. Ford has gone a step further and used Cloud technology for boosting the machine's efficiency by allowing a choice of different powertrain modes for every single journey. I think the cloud technology gives Fiat huge potential to customize the driving experience as well as cater to individual moods and tastes of every customer - in terms of personalizing the car without compromising on the driver's safety. 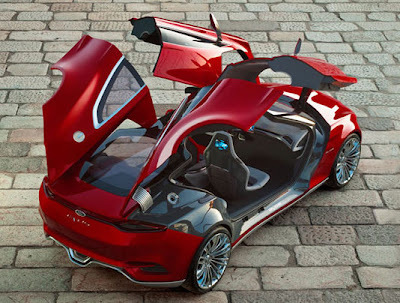 Still interested in reading about the Ford Evos Concept Car, reach out to me.